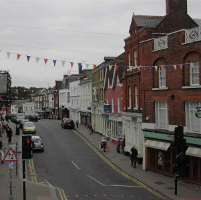 Tetlow King Planning (TKP) succeeded in obtaining planning permission at appeal for a mixed use, retail and residential redevelopment in the heart of Bishop’s Stortford. Located within the Conservation Area, the site forms an important link between the new Jackson Square development and the historic South Street. The appeal was allowed and can be viewed here. © Image copyright Marcel Lesky and licensed for reuse under this Creative Commons Licence.